Re-opened in 2014 after a major renovation and expansion, the seventeenth-century Mauritshuis in the heart of The Hague houses a splendid collection of paintings from the Dutch Golden Age. A new, subterranean entrance hall connects the city palace to the new Royal Dutch Shell wing, which houses exhibition space, a restaurant, a new library, shop and educational facilities. On Monday 31 August we will listen to lectures in the Nassau Room in the new wing. During the morning program, before the museum opens, we will visit the Saul and David exhibition together. In the afternoon we will pay a short visit to the permanent collection and to the newly acquired flower still life. Please be aware that during the Monday program there is little time to visit the permanent collection. You could consider to visit the Mauritshuis at your own leisure, possibly on Sunday 30 august, before our visit to the Prince William V Gallery. On Sunday the Mauritshuis will open at 10 am. The history of the Prince William V Gallery goes back to 1774. In that year William V, Prince of Orange-Nassau and Stadholder of the Netherlands, brought together paintings in a purpose-built gallery on the Buitenhof. Many of the 150 paintings on display today also graced the walls in William V’s day. 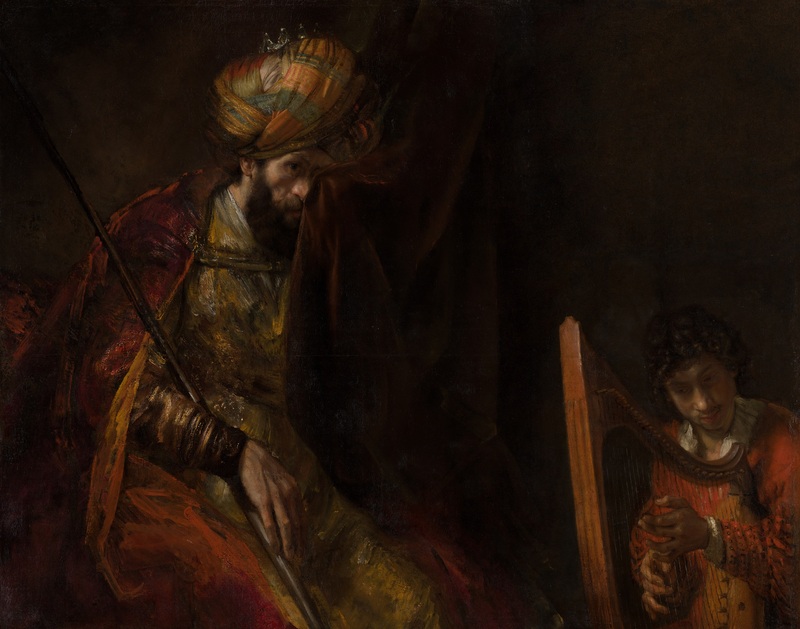 The collection consists mainly of pictures by masters of the Dutch Golden Age, as well as a number of Italian works and paintings by Flemish artists such as Rubens. Our visit on Sunday afternoon will be guided by Mauritshuis curators Quentin Buvelot and Ariane van Suchtelen, who have both been involved in the refurbishment of the Gallery, that reopened to the public in 2010. We are very pleased to be able to add a visit to Huys Schuylenburch to our extra program on Sunday. This house has been the residence of the German Ambassador since 1885 and is not open for visitors usually. An extra bonus is that recently retired Senior Curator of Old Master Paintings and Drawings at the Netherlands Institute for Art History (RKD), Charles Dumas has kindly offered to guide our group through this exceptional building. Schuylenburch House was built in 1715 by architects Felix du Sart and Daniel Marot, commissioned by Cornelis van Schuylenburch. The exterior of the house is very impressive, as is the interior, designed by Daniel Marot, in Louis XIV style. Not to be missed of course when visiting The Hague is the heart of Dutch politics and the Mauritshuis’ neighbor, the Binnenhof (Inner Court). We have added a visit to some of the most important rooms of this complex to our program. Among these will be the Ridderzaal, the De Lairessezaal and the Eerste Kamer with its beautifully painted ceilings. Marion Bolten, who published a major study on the subject, will be the guide. The Ridderzaal dates from the 13th century and is, and has been, used for national and international official functions. Nowadays, it is probably most well known because of Prinsjesdag (the annual ceremonial opening of Parliament after recess) that takes place each year on the third Tuesday of September. The bowed wooden roof structure used to be decorated with flags of all the Provinces. The throne from which the King reads his speech was designed by Pierre Cuypers. The De Lairessezaal was named after painter Gerard de Lairesse. In 1688, he painted a series of seven large paintings for the hall representing actual and mythological scenes from the ancient history of Rome. The assembly hall was designed by Pieter Post as a conference room for the States of Holland and West Friesland. The room was completed in 1655 and work was begun on finishing the interior. The ceiling was painted by two lesser-known artists, Nicolaas Wielingh and Andries De Haen. They painted the people of the various nations Holland conducted trade with. The room also includes paintings by Adriaen Hanneman and Jan Lievens. Since 1977, the Dutch government has its weekly meetings in the Trêveszaal. The historic room is also used for official receptions hosted by the Dutch Prime-Minister. The name of the room was derived from the French word for truce, referring to the Twelve Year Truce (1609-1621). In 1696, the two existing rooms were rebuilt to make one large room decorated in Louis XIV-style, designed by French architect Daniel Marot (1661-1752) with ceiling paintings by the Hague painter Theodoor van der Schuer.